You know that almost everything needs to be cleaned. It applies the same to basketball shoes as well. Need to be known though, cleaning basketball shoe is not only about getting rid of the dirt and dust on them to make them look pretty and like new. It is also about maintaining their durability and capability. Let us show you the way of how to clean a basketball shoe here in this opportunity. First than anything, it is important to clean the soles of the shoes. Why? It is because they are what provides traction when you wear them. However, they are also the place where mud and pebbles usually stuck into. So, you better not forget cleaning those parts. To do so, all you need to do is to use either rag or stiff brush to get rid of them. Be sure to clean them thoroughly so that the soles are definitely clean from both mud and pebbles on them. Once you have cleaned the soles, it is the time for you to clean the rest. If your shoes are made of leather, be sure to use non-abrasive cleaner so that they are not scratched. Use it on the entire shoes to rub off both the dirt and scuff marks. However, if your shoes are not made of leather, you can simply use wet soft rag to rub them off. By doing so, you will be able to make your shoes look good and perform well for just every match. Speaking about how to clean a basketball shoe, it is enough to do those two ways above. However, there is one thing we need you to remember too here. Yes, you have to do the cleaning regularly. You know that you would use your shoes again once they are cleaned. But, they would just get dirty again too, right? So, in order to always keep it in good condition, regular cleaning becomes something important you really need to do. Storage is also something you need to concern yourself with when it comes to keep your shoes clean. 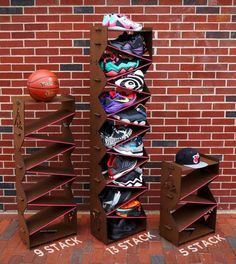 You don’t have to really clean the shoes here, but it is important for you to choose open space to store your shoes. Why? It is because stuffy places will only make mildew grows on your shoes, thus making them smell bad. Once mildew grows on shoes, it is hard to get rid of it. So, be sure to store your shows in an open space no matter what. It might be a bit off when it comes to cleaning shoes. However, it is wise for you to only wear the shoes when you are playing or exercising. Don’t use them daily to walk around like sandals. If you do so, you will only wear them out. Also, they would get dirty faster. That is why it is important for you to consider this suggestion here. It is still one of the ways of how to clean a basketball shoe after all. Note: Do not wash your basketball shoes using an automatic machine or doing a laundry. The probability is very high for the shoes to get riped or damaging the materials.